This is The Anglo-Australian Telescope in New South Wales. It is Australia’s largest optical telescope. It was the first telescope designed specifically to be controlled by a computer. 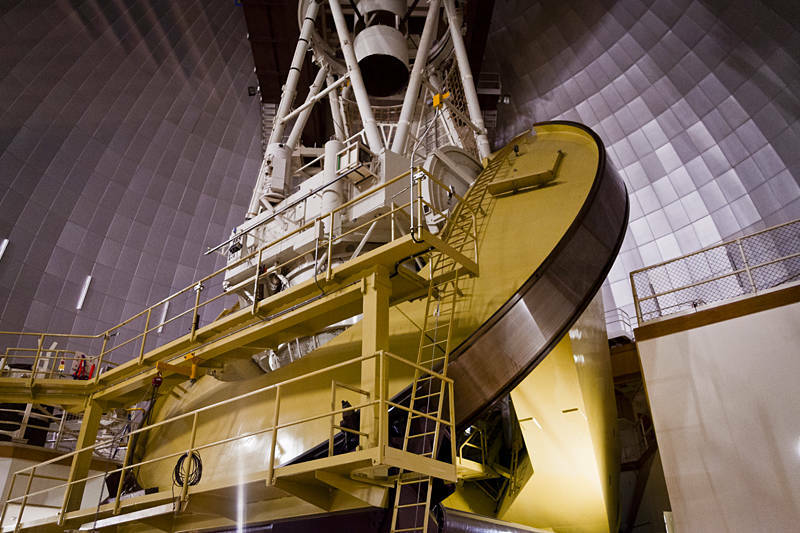 It was also the last large telescope to use an equatorial mount instead of the more compact and stable alt-azimuth. Despite the old mount, the computers allowed the telescope to set new standards for tracking accuracy. This photo definitely qualifies as Mechanography.